Atacama Moseco 6 review | What Hi-Fi? These Moseco 6s might just be our new favourite affordable speaker stands. With our reference ATC SCM 11s placed on top, these Atacamas allow our system to flourish by letting the speakers deliver their best in terms of punch, detail and rhythm. There’s texture to basslines, a twang to guitars, and expressive (if slightly forward) vocals. Overall, it’s an enjoyable performance. The Mosecos are rigidly built too. 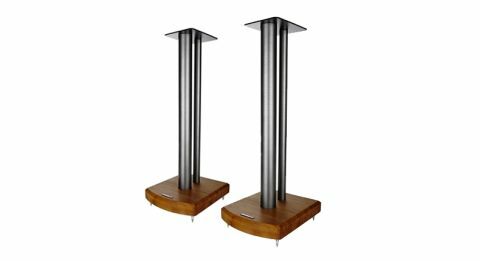 Two metal columns – one filled for better stability, one for cable management – and a bamboo base offer sturdy support and a neat look. Those with large speakers might find the top plate on the small side, but Atacama is planning to offer the Mosecos in different sizes in the future. We’re impressed with how weighty and dynamic these stands make our system sound. They work well with a variety of speakers across the price range, too and, at a relatively modest £120, they’re one of the best-value stands we’ve come across.